Discover our various luxury rentals in South Florida Want to take your next vacation to a luxurious destination? Resort Harbour Properties in Sanibel Harbour has got you covered. These luxury vacation rentals in South Florida are approved by our most discerning guests. When you stay in one of our units, the experience is like walking into a model home that has been completely renovated to current design fixtures, furnishings, and electronics. Tropical styling, refreshing beach colors, and cozy details create a gorgeous setting in which to spend your getaway. Please contact us with any and all questions about our vacation rentals in South Florida. Discover our Deluxe Vacation Rentals on Floridas Gulf Coast Looking for vacation rentals with stunning sunset views over the Gulf and Bay? 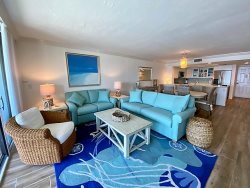 The Deluxe Vacation Rentals at Resort Harbour Properties were made for you! These Sanibel Harbour gulf coast beach rentals have been upgraded in recent years and offer a cohesive design theme throughout the units in order to complement the incredible views outside your balcony. Click View This Rental for details on the property of your choice. Or, for an upgraded accommodation, check out our luxury vacation rentals in Sanibel Harbour today. Discover our Beautiful South Florida Accommodations Looking to take your next vacation to beautiful South Florida, but don’t want to spend an arm and leg to stay at a quality destination? If so, then Resort Harbour Properties was made for you! These vacation rentals at Sanibel Harbour and Fort Myers are a great value, offering the same breathtaking waterfront views without all of the interior frills and upgrades featured in our Deluxe Sanibel Harbour Deluxe vacation rentals. For details on our properties, simply scroll down and click on View This Rental.